Cosmonator is an 'RPG-em-up': a hybrid of classic fast-paced top-down shmup action infused with deep character building elements. Arm yourself to the teeth with a massive array of weapons, upgrades, spells and special abilities to take on the alien onslaught! Slowly build up your ship to suit your particular playing style: perhaps you prefer a passive build that focuses on high firepower, strong sideships, specially customised homing missiles and a drone that fires automatically at any moving enemies? Or a tank build with strong shields, armor, and defensive special abilities? Or a caster with numerous devastating special attacks - and the ability to control time? Each weapon, upgrade, ability and spell in Cosmonator is separately customisable so you can build up exactly the character you want. Add to this a massive level content, including a legion of epic boss battles, and you're guaranteed to keep coming back for more - even after the first playthrough. Here's a gameplay trailer showcasing some more of what's on offer in Cosmonator! New Gameplay Trailer / Box Art! 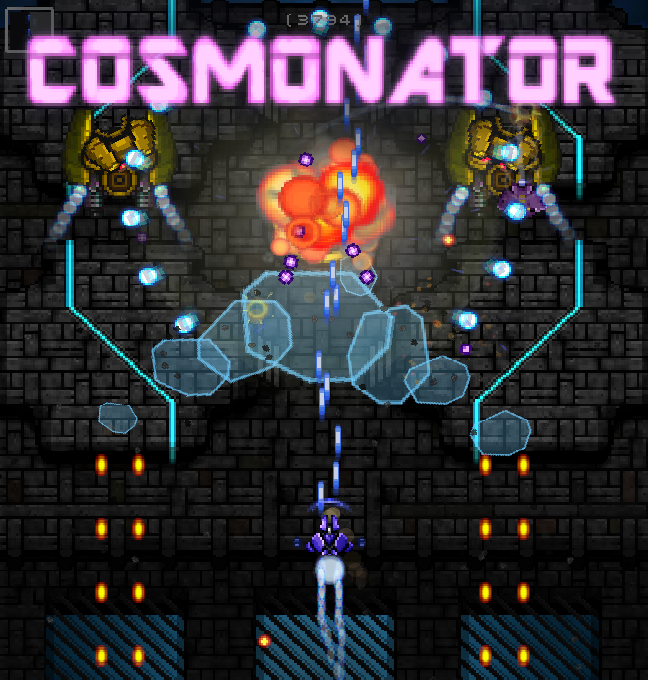 Cosmonator has officially left its Early Access phase on Steam! The full, final game is now available. Cosmonator's first week on Steam's Early Access has gone swimmingly. Lots of great feedback, and already some challenging new ideas from our first Early Access users. The first update will follow soon!